The PM 8080 is one of the most advanced systems in the series. The digital microprocessor pressure sensor technology provides smart pressure auto-checking feature to maximize patient's comfort. This replacement mattress, which offers a low air loss therapy, is consisted of 20 8 inches high cell-in-cell designed air bladders. Ideal for home health or hospital use. The patented cell-in-cell design allows the inflation and deflation of air cells to be achieved in the shortest amount of time while providing the good pressure dispersion. The inner cell also offers a sufficient weight support during a power failure. Mattress will remain inflated for up to 24 hours in the event of a power outage. For ease of care taking, the mattress can be easily changed back to flat surface (static mode) within a very short period of time. Eliminate having to turn the patient at night. This elite mattress will heal existing bedsores and it will also prevent new sores from forming. 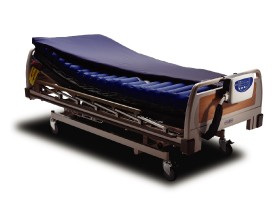 This mattress will eliminate having to turn the patient at night. 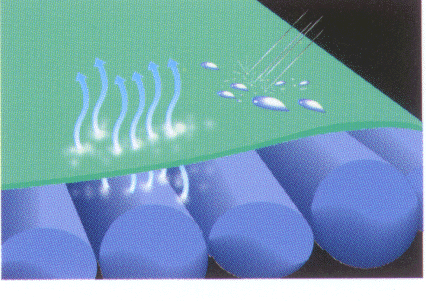 8" Alternating Mattress Replacement System with Sensor Technology to provide alternating pressure and low air loss. This system offers a comfort controlled variable pressure, a maximum inflate feature that will inflate the mattress in just minutes and a power failure and low pressure warning lights. The PM Series mattress meets the requirements of the HCPCS codes EO277 and E0372. Dimension (L x W x H)	30 x 10.5 x 22.5 cm /11.8" x 4.1" x 8.9"
Dimension (L x W x H)	200 x 90 x 20.3 cm /78.7" x 35.4" x 8"